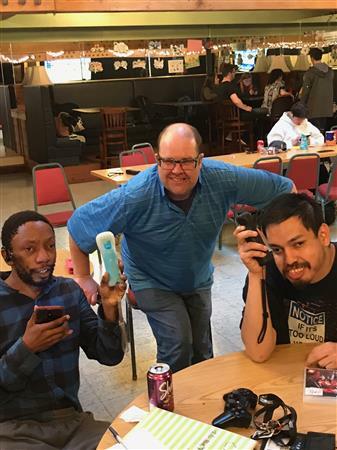 Managed by Lance Scott, Director of Arts, Recreation and Socialization at The Arc, the Monday Night Dinner Group is part of the “Friends Like Me” socialization program, where peers gather for group board games, movie nights, drama workshops, and a weekly dining club get together. The “Friends Like Me” program was established to help alleviate social isolation among people with autism and developmental disabilities. 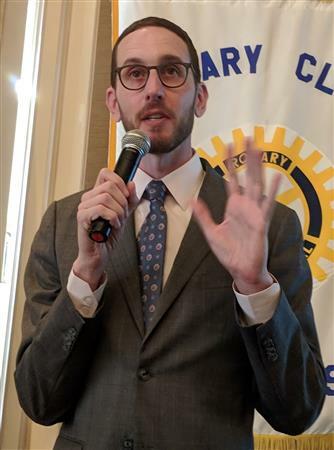 As he prepares to join the Board of the Rotary Club of San Francisco as Vice President for Club Service, Michael Petricca sees a natural partnership between his job as director of security for Academy of Art University and Rotary’s motto of Service Above Self. “Both want to help kids and make the community better,” he says. Scott Plakun and Lilian Tsi-Stielstra delivered 50 dictionaries to the third grade students at Daniel Webster Elementary School, assisted by Scott Stielstra. On Saturday, March 30, 2019, the Rotary clubs in San Francisco gathered at the Westfield Mall to do a needle and garbage clean-up. 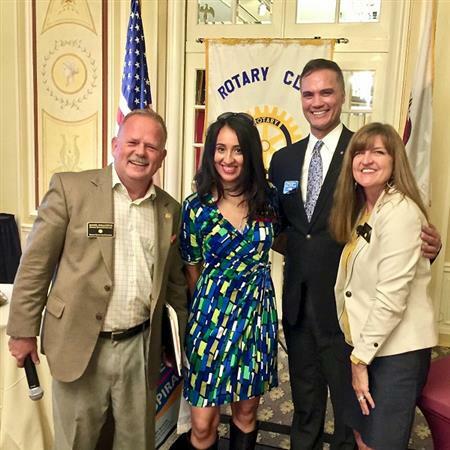 Representing the Rotary Club of San Francisco were President Rhonda Poppen, Bill Poppen, Anita Stangl, and Deborah Wakefield. Here is a video clip of the group and their efforts to clean up our streets. 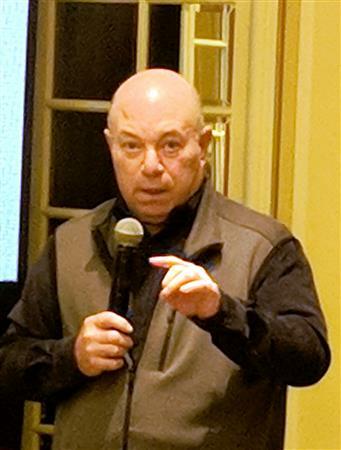 On Thursday evening April 4, a number of Rotary Clubs from San Francisco and Oakland put on an event focused on entrepreneurs called the People of Action - Impact Series. 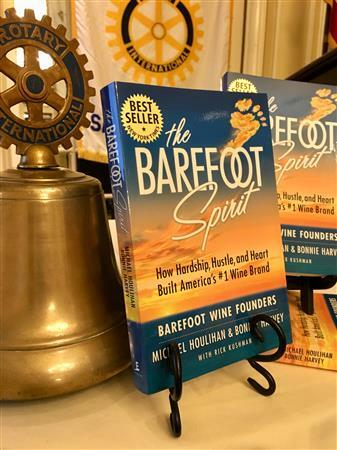 Held at a wonderful Market Street venue provided by Wells Fargo, the evening was a great success, not only for the networking amongst attendees, both Rotarian and non-Rotarian, but for the experience of listening to entrepreneurs dedicated to supporting communities and our environment. One of our ongoing service projects is support of the Homeless Prenatal Program. HPP offers services focused on housing, prenatal and parenting support, child development, family finances and stability, access to technology, domestic violence and substance abuse, family unification, and emergency support of basic needs. 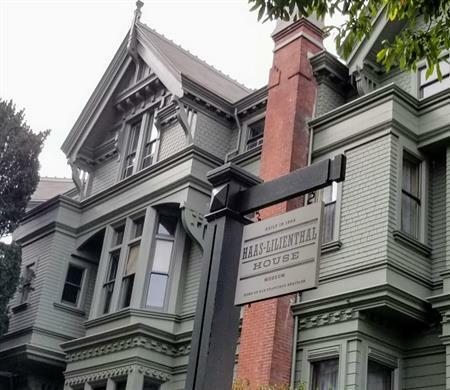 On March 26, 2019, 20 Rotarians and guests got a tour of the historic Haas-Lilienthal House by our very own member Christopher Wiseman. 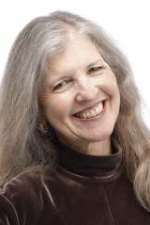 Club member, Heidi Kuhn, founder of Roots of Peace, is featured in a member profile in the April 2019 issue of The Rotarian magazine. You'll find the article on page 11 of the magazine. Or you can read it in the online version of The Rotarian. About 120 Rotarians, Consular Corps members, and friends brought great energy into the room for Worldwide Rotary Day. Special guests included District Governor Jayne Hulbert, District Governor-Elect Sue Rokaw, DGE, District Governor-Elect Nominee Mary Bates, and Mary's Chief of Staff Gary Chow, as well as Pablo Castro and Mary Steiner from the UN Association, and visiting Rotarians from other nearby Rotary Clubs and from Switzerland. 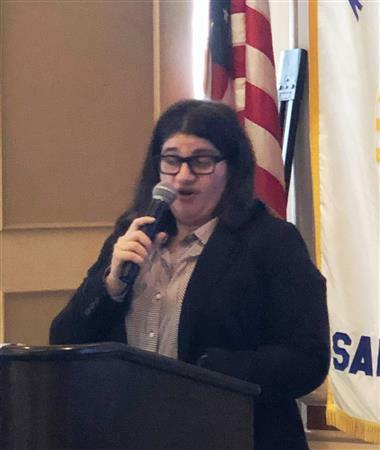 On Saturday, March 16, 2019, Rotarians in District 5150 gathered for the annual District Learning & Leadership Development Assembly. This was my first time as I had always had a work conflict in the past. 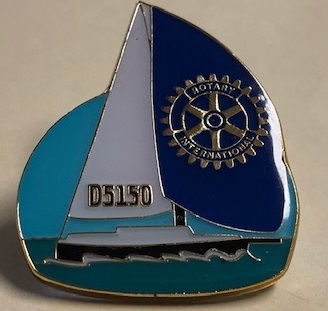 District Governor-Elect Sue Rokaw had chosen a nautical theme for the year 2019-20. Upon arrival, we were greeted by Rotarians in sailor outfits and hats. After checking in, we were handed the District pin in the shape of a sailboat for the incoming year, a program, and a list of breakout sessions. Join Rotarian Lily Muldoon on a trip to Western Kenya for hands-on volunteering and Rotary fellowship! The Rotary Club of San Francisco is sponsoring a radio project in Africa that is focused on health education. 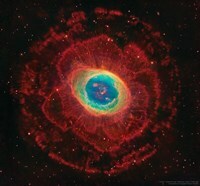 This is an opportunity to visit the site and contribute to the work. New Members: The March 2019 class of new members has been inducted. This is an impressive set of individuals. Some of the details about their background are highlighted below. Please reach out, say hello, and get to know our newest members. President Rhonda Poppen (Grant Writing: GRANTdog) welcomed all members and visitors, including visiting Rotarians from Austria and from Toronto, Canada. The Boards of the Rotary Club of San Francisco and Rotary Service met for a day-long retreat on Saturday, March 2. Those who are going off the board, those who are coming on to the board, and those who are staying on the board after June 30 all participated. If you have an idea for a great service project for our Club, and are looking for funds to help make it happen, now is the time to act! Start by reading our Grant Overview and the Grant Request Form. Then reach out to the relevant service chair (Local Community, International, or Youth Leadership) with your ideas and questions. You'll find contact information for the service chairs here. All grant applications for the 2019-2020 Rotary Year need to be in the hands of the relevant service chairs by April 15, 2019. President Rhonda Poppen (Grant Writing; GRANTdog) welcomed about 70 Rotarians and friends. Many of today’s visitors said they had come specifically to hear the speaker, including a Rotarian from Germany who asked her to sign two copies of her recent book, one published in German and the other in English. 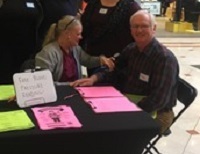 It was a rainy, foggy, and blustery day, but this didn’t stop volunteers from the Rotary Club of San Francisco in staffing the RotaCare booth this past Saturday at the Serramonte Mall. Present were Club members: Bob Hermann, Susan Dean, and guest Karen Tomczak. 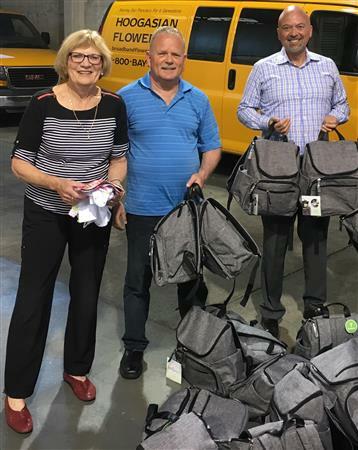 Also present were the Club’s Corporate members: Catholic Charities represented by Patty Clement Clark, Mike Clark, Jane Ferguson Flout, and Ross Lyon; and San Francisco State University represented by Destinee Lanns. From RotaCare was Regina Cruz. Eleven Rotarians and guests enjoyed an evening of bowling, food, and fellowship at Yerba Buena Bowl. President-elect Casey Blair had the highest score for two of the three games, while John Mathers tried to bet members that they couldn’t knock down an individual colored pin. It was a great opportunity for newer members and guests to mix and mingle with a few seasoned members and lots of fun was had by all. We hope to see you at a future social event! President Rhonda Poppen led today’s meeting, beginning with the introduction of a large number of distinguished Rotarians and visitors including District 5150 District Governor Jayne Hulbert, and Past District Governors Ron Gin, Chris Gallagher and Donna-Lee Young Rubin (Non-Profit Medical Services; Rotaplast), and District Governor-Elect Sue Rokaw. In addition, there were a number of Rotarians in attendance from the Greater Mission and Chinatown Clubs. We plan to induct these members at our March 12, 2019 luncheon meeting. Please contact me if you have any questions or concerns about these proposed new members. 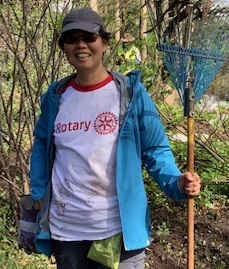 34 volunteers including Club members – Laura Burrus, Harold Hoogasian, Kathryn McCall, Lilian Tsi-Stielstra, and Scott Stielstra – braved an unpredictable, stormy Saturday to work at Rotary Meadow. Unfortunately, the weather did not permit any work at Rotary Meadow, but the volunteers were divided into three groups and tasked with clearing an area into which a kiosk will be built, planting, removing weeds, or clearing trails. President-elect Casey Blair led today’s meeting. He welcomed visiting Rotarians from Turkey (Istanbul) and Rwanda. We were joined by several prospective new members. A number of guests were also in attendance from the Glaucoma Research Foundation and The Arc San Francisco. President-elect Casey recapped several events from the past week. The “Mix and Mingle” social at the Academy of Art Automobile Museum on January 31 was very successful, with over 30 members and guests enjoying an opportunity to socialize amidst classic cars. The Super Bowl Party at the home of Lilian Tsi-Stielstra (Insurance Services; Wells Fargo Advisors) was a wonderful event (even though the game was a defensive struggle). Nearly 70 Rotarians and guests attended today’s luncheon. 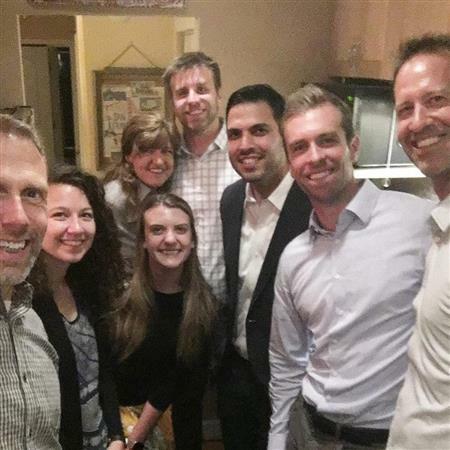 Guests included a visiting Rotarian from Charlotte, NC and representatives from State Senator Scott Wiener’s office. 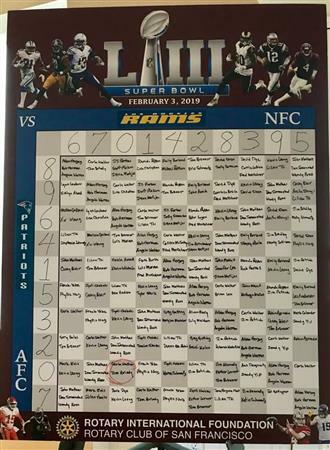 Super Bowl LIII is now history, and so is our Super Bowl Pool. This year we raised $26,700 for The Rotary Foundation of Rotary International. If you made a pledge but have not yet paid, please send a check to Fred Marschner payable to The Rotary Foundation – or click below to pay by credit card. Many of you have asked how you can help the schools up here. We really appreciate everyone's support, kindness and generosity. I want you to know trucks of food, clothing and items are arriving to help us. For schools we need donations that our Foundation will give directly to teachers, administrators and staff so they don't have to worry about waiting for purchases. Please share this and thanks for everything--we feel your love! Membership Contest: On January 22, the winner of Membership’s “Big Island Is Calling” contest was revealed. 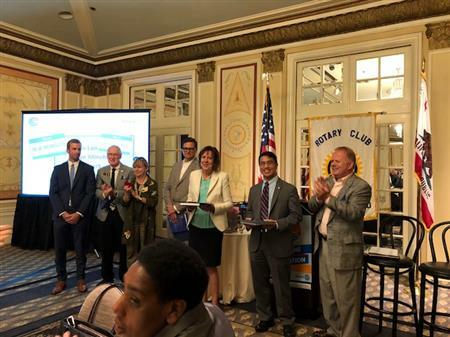 The award went to the person who introduced the most new members to the Rotary Club of San Francisco between July 1 and December 31, 2018. The winner by a landslide was Marti Sullivan, who introduced five new people into the Club. 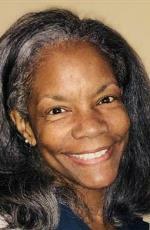 She invited Catholic Charities to become a Corporate Member with five designees. Marti receives the week-long stay in Kona Hawaii, courtesy of Harold Hoogasian. Congratulations, Marti, on your fine efforts in receiving this prize. On the evening of January 8, 2019, Deborah Wakefield hosted a “Welcome to the Club” party at her spacious, early 20th century-styled apartment in Pacific Heights. Her lovely home put everyone in good spirits. Conversation among the 35+ new and prospective members was lively and grew more animated as the first hour of the cocktail party progressed. We enjoyed excellent wine and lots of good appetizers. More than 70 members and guests attended today's meeting, including visiting Rotarians from Tokyo and several local clubs. President Rhonda welcomed everyone back for the new year. 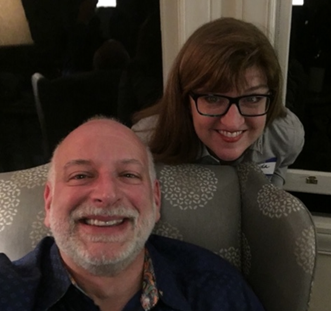 She shared photos from last week's New Member Event on January 8 and thanked Deborah Wakefield (Concierge Senior Care and Family Support) for hosting, and Anita Stangl (Non-profit Medical Services; Alliance for Smiles) and Daniel Joraanstad (Financial Management; Retired) for coordinating. $35 for members who register online in advance. Online registration closes at 5PM the day before each luncheon meeting. $40 for members who do not register in advance. Tickets already purchased at the 2018 prices will be accepted. The price for visitors remains $40. Please contact JT Forbus (VP of Club Service) if you have any questions or concerns about this change. President Rhonda Poppen welcomed our guests and visitors, including Rotarians from France and Italy. 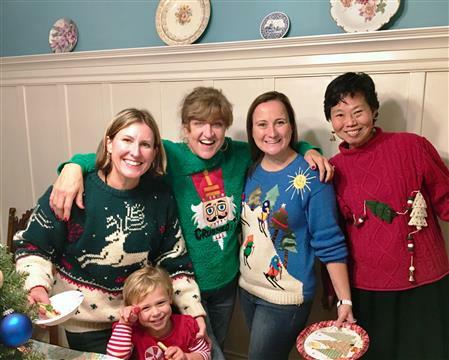 She reviewed some recent events, including Thanksgiving at The Arc on 11/20/18 and the Ugly Sweater Holiday Party on 11/28/18. $35 for members who register online in advance. These prices go into effect at the first meeting of the new year on January 15, 2019. Tickets already purchased at the 2018 prices will be accepted. The price for visitors remains $40. President Rhonda Poppen (Grant Writing; GRANTdog) welcomed visiting Rotarians from France, Germany, the Rotary Club of San Francisco Evening, and Los Gatos as well as guests from Roots of Peace, Vietnam, the Consulate General of Honduras, the San Francisco Police Department and the San Francisco Police Activities League. She shared with us events from last week including the Salvation Army Bell Ringing on 12/7/18 and noted that again the 110th anniversary t-shirt would be on sale through 12/21/18 and could be purchased via the Club website. From check-in to check-out, the 2018 Holiday Party was a delight. The sound of The Salvation Army Band, led by our own Major Raymond Erickson-King (Human Services; The Salvation Army Ray & Joan Kroc Center), greeted guests as they stepped off the elevator, leading the way to the meeting room. Upon arrival, everyone was treated to a glass of champagne or other beverage to celebrate an outstanding year for our Club. 'Tis the season! 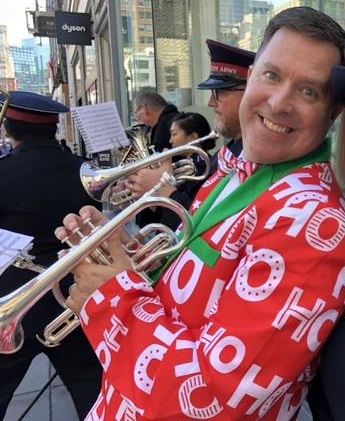 December 7, 2018 was Celebrity Bell Ringing Day at Union Square for The Salvation Army. Rotarians volunteered to help raise funds for programs and services at The Army’s Kroc Center in the Tenderloin. In four hours, we raised over $250. Thank you for supporting The Salvation Army during the holiday season. 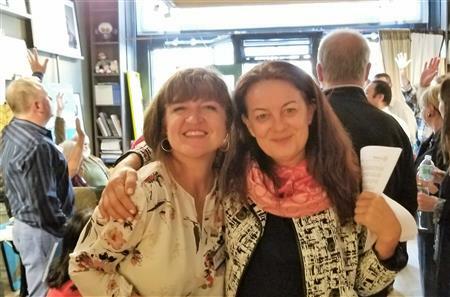 Stacey Poole had a great idea for a Rotary Social event, and Lilian Tsi-Stielstra agreed to host the event. Even the weather gods agreed it was a good idea. There was a break in the rain right about the time the party started. 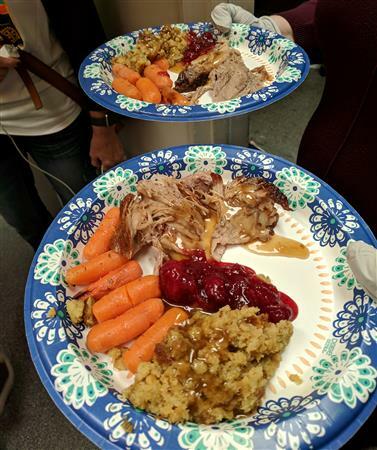 Thanksgiving week is the time for one of our Club’s favorite traditions, one that dates back more than ten years: Serving lunch to clients of The Arc of San Francisco and others. The day got off to an early start: Past Club President and Past District Governor Eric Schmautz met Jonathan Scopazzi at The Salvation Army’s South of Market commercial kitchen at 4:40 AM. They worked through the morning to roast 200 pounds of pork shoulder, cook 100 pounds of carrots, make a mountain of stuffing, prepare 5 gallons of gravy and decant 8.5 gallons of cranberry sauce. More than 70 Rotarians and guests filled the room for today's spirited luncheon meeting. President Rhonda Poppen (Grant Writing; GRANTdog) welcomed guests from Catholic Charities and San Francisco State University, our Club's first two Corporate Members. Rhonda noted that several members had asked about how to help victims of the wildfires that are raging nearby. She directed us to the Club website for information on how we can donate. Our Club has had a significant increase in young professional members recently. President Rhonda and her husband, Bill Poppen, decided it would be fun to see how many could fit into their small kitchen. In attendance were Casey Blair, Bill Poppen, Rhonda Poppen, Madison Pauly, Sunny Singh, Tyler Sterk, Carolyn Kooi, and Mark Enis. About 70 Rotarians and friends attended today's meeting for an update on the effort to eradicate Polio and on other important work of The Rotary Foundation of Rotary International (TRF). President Rhonda Poppen welcomed visiting Rotarians from Italy, Tanzania, and Ghana, and from South San Francisco, Central Marin, and Daly City. She also welcomed special guests from the Consulates of Vietnam and Germany. The first thing of course everyone has asked is “what can I do to help?”. While there will no doubt be a lot more information about many ways to help, to start with The Paradise Rotary Club has indicated that people can make contributions via their Club’s Foundation. PDG Pam Grey and Brian live in Paradise, Brian is the current President of the Paradise Rotary Club. They will be accepting donations to be used to assist folks in the short and long term via the “The Paradise Rotary Foundation”. Since they are pretty sure that the Paradise Post Office is gone, they have asked that they be mailed c/o Scheer Memorial Chapel, 2410 Foothill Blvd, Oroville, Ca 95966. President Rhonda Poppen welcomed visiting Rotarians from Germany, Guatemala, India and Japan. We also had several family members in attendance, including the parents of Bill Poppen (Banking Management; MUFG Union Bank) as well as guests from the Salvation Army. All members are encouraged to attend the annual meeting, to be held at the Holiday Luncheon on December 18, to vote on these nominations. On October 30, about 20 Rotarians and guests mingled at the Golden Gate Tap Room for drinks, food and fellowship. Several members got into the Halloween spirit by attending in costume, including the Schmautz family of bees and beekeeper, Groovy Rhonda Poppen, Equally Groovy Casey Blair, Superman Bill Poppen and Sheriff Dan Joraanstad. I’m excited to announce that our Rotary Club of San Francisco is launching a new Corporate Membership program. Both for-profit companies and non-profit organizations that become sponsors of our Club can designate up to five individuals as individual Active Members. Our first two Corporate Members are both non-profits: Catholic Charities of San Francisco and San Francisco State University. In accordance with our Club Bylaws, I am pleased to announce that the Board has accepted the nomination of eleven new individual members, nine of whom are designees of our new Corporate Members. On October 24, 2018, Rotarians Ryan Overton (who chaired this event), Rhonda Poppen, Dan Joraanstad, Bob Hermann, and Tyler Sterk joined Project Homeless Connect to provide comprehensive services to more than 1,000 homeless people at their 72nd Community Day of Service. 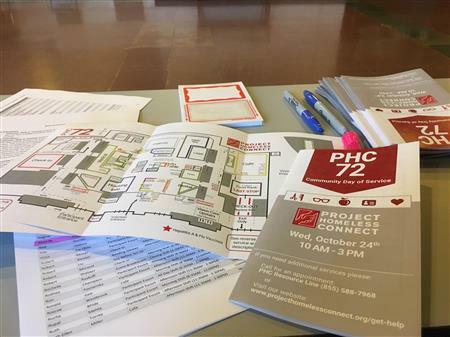 Project Homeless Connect is an organization that partners with the community at large, various San Francisco City and County agencies, and several businesses to provide an array of support services for homeless people in San Francisco. Today is the sixth annual World Polio Day, celebrating the progress we've made towards Polio eradication - and acknowledging the need to continue the effort until the job is done. When Rotary International committed to Polio eradication over 30 years ago, the world saw 1,000 new cases of Polio every day. There have only been 20 cases so far this calendar year. We are "this close" but we need to get to "zero". In October 2018, Lisa Christian, Mark Enis, and Angela Warren joined our Club. 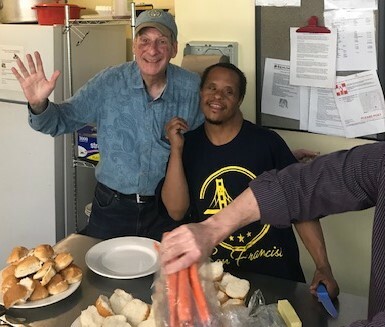 Monday, October 15th was yet another fine "Monday Dinner Club" evening at The Arc, as Club members Gary Keener, Tim Hornbecker, and Peter Logan joined other volunteers, staff, and – most enjoyably – the clients. 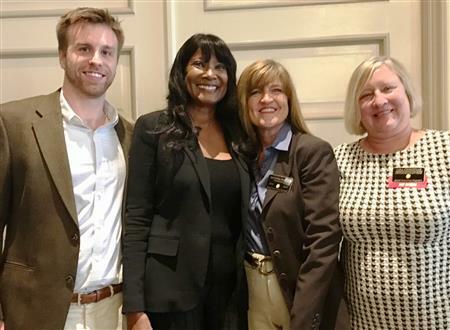 President Rhonda Poppen welcomed us all to a special luncheon with State Senator Scott Wiener as our guest speaker. Rhonda began the meeting by introducing visiting Rotarians from Concord, California; Reno, Nevada; and China. Other visitors included Mary Qian from Shen Zhou Event, Jeff Lee and pianist Ryan Ahern from Productions 17, and Yulla Nicolas and Yasmin Khalili from Alliance For Smiles. 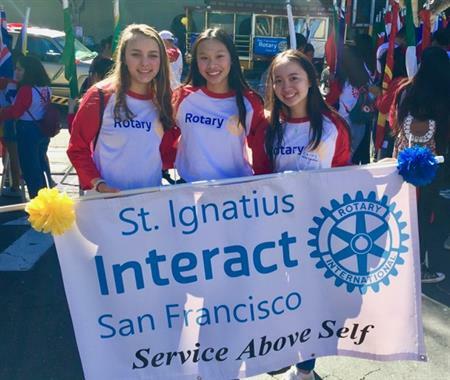 Each year, The Rotary Club of San Francisco celebrates Italian Heritage by carrying 150 flags in the annual parade, representing some of the countries where Rotary serves in the world. Blue Angels fly overhead, and this year as in years past, the sky was a perfect blue. 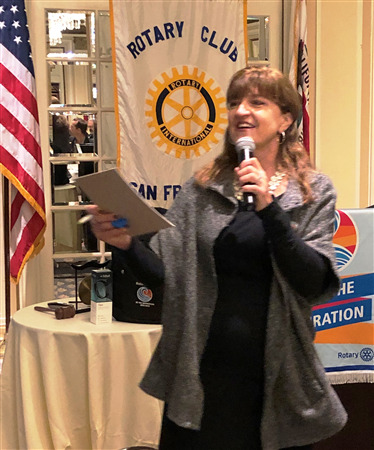 President Rhonda Poppen welcomed all of our visiting Rotarians and guests to the city of San Francisco, noting that the City itself is the focus of today's speaker. 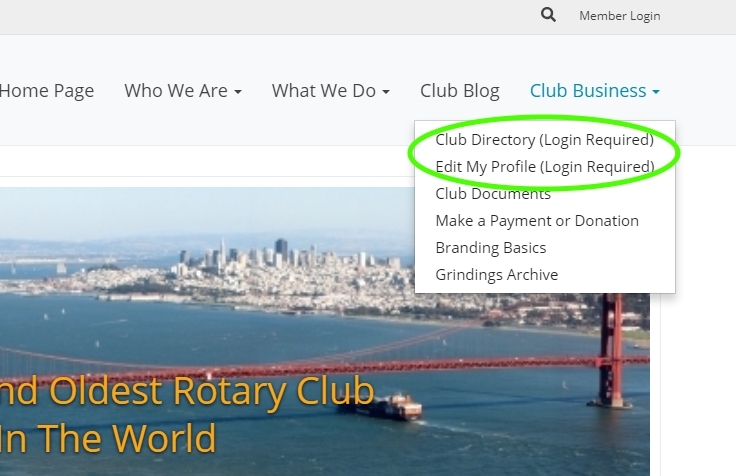 A video is now available on sfrotary.com that shows you exactly how to register for Club events, including our weekly Rotary Luncheon meetings. You can view the video here. Or go to sfrotary.com, where you'll find the link on the left side of the home page, just below the image that celebrates our 110th anniversary. 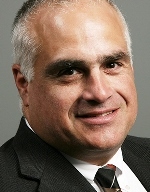 In accordance with our Club Bylaws, I am pleased to announce that the Board has accepted the nomination of Mark Enis (Asset Management; The Key Group) to be our newest member. Please contact me if you have any questions or concerns about this proposed new member. President Rhonda welcomed our prospective members, visiting Rotarians (including one from Germany), and guests. 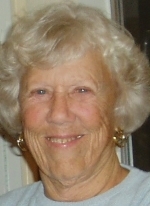 Rhonda announced that two valued members of the Club had recently passed away: Past President Jim Emerson (Clergy – Presbyterian; Retired) and Past President Grant Hundley (Hardware – Retail; EM Hundley Hardware). She held a moment of silence in their memory. President Rhonda opened the meeting with a recitation of the Pledge of Allegiance in honor of Patriot’s Day. 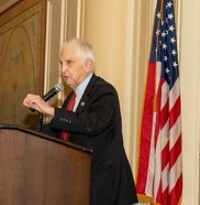 Richard Harrell (Veterans Outreach; Heroes’ Voices) then led the Club in singing America the Beautiful. Rhonda welcomed prospective members, a visiting Rotarian from Germany, and other guests, including her parents, Ron and Ann Harvey, who are here from Virginia seeking shelter from Hurricane Florence. The forces of nature, namely, Hurricane Florence, is causing, and has caused massive loss in the Southeastern States of the US. In the next few days, we will be assessing and responding to the IMMEDIATE needs for the bare survival of nearly 2 million people. As of this writing, roughly 1 million people are without power, and it’s unknown just how long it will be before power is restored, before people will be able to leave shelters to return to their homes, and months before life will take on any form of normalcy again. 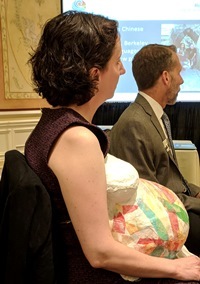 In August 2018, we had Martha Ryan, Executive Director of Homeless Prenatal Program (HPP) and Megan Lucas, Board Member and former client of HPP, give an inspirational presentation to our Club about the work that HPP is doing in our community. We are enriched once again by the arrival of a new member in the Club. 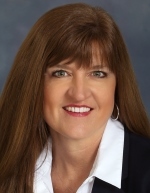 Janine Padilla was inducted into membership under the category of Real Estate, working for Coldwell Banker. She was born and raised in San Francisco, and is now working in the City. 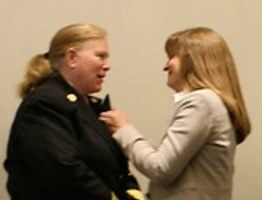 Janine is also a member of the Junior League of San Francisco as well as the Urban Land Institute. She is interested in contributing her talents in the area of fundraising, event planning and marketing. And she wants to learn from others in the Club and connect in the common cause of serving others. 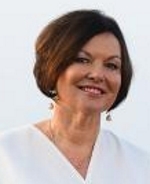 Welcome Janine! Her sponsor and mentor is Gary Keener. It is with great sadness that I announce the loss of two valued members of our Club, both of them Past Presidents. 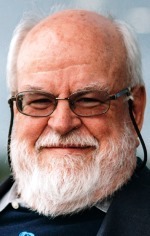 Jim Emerson (Clergy - Presbyterian; Retired) passed away on Wednesday, September 12. 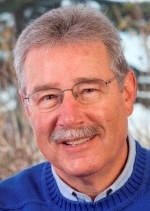 Jim joined the Rotary Club of Denver in 1950 and transferred into the Rotary Club of San Francisco in 1979. 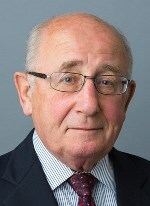 He served as our Club President in 1990-1991. Jim was 92 years old. A Thanksgiving for Jim's life of faithful ministry and Christian love is planned for Saturday, October 20, 2018 at 1 PM at the sanctuary of the Calvary Presbyterian Church located at 2515 Fillmore Street, San Francisco. You can learn more about Jim in this profile, which was published in the May 2018 issue of Grindings. 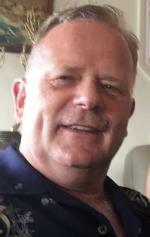 Grant Hundley (Hardware - Retail; EM Hundley Hardware) passed away on Thursday, September 13. 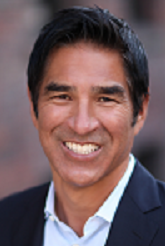 Grant joined the Rotary Club of San Francisco in 1984 and served as our Club President in 2004-2005. Grant was 67 years old. President Rhonda opened our meeting by welcoming our visiting Rotarians from Houston and Minneapolis as well as our many guests and prospective members, and then highlighted several upcoming events: the Diaper Bag Assembly on 9/11 and Baby Showers on 9/13 for the Homeless Prenatal Program. Next month, the Club will have a Halloween social on 10/30 at the Golden Gate Tap Room. 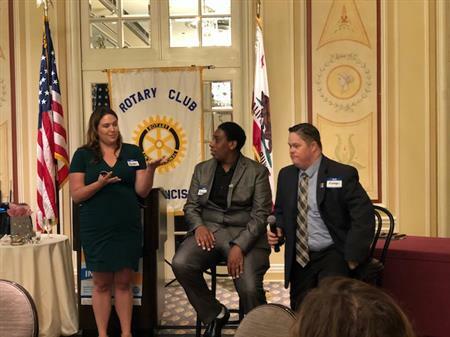 Rhonda also recapped several successful events from last month, including the Rotary 5150 Summer Picnic on 8/26 and the private guided tour of SFMOMA on 8/30. Don’t miss your chance to win a gift card by making a pledge or a donation to The Rotary Foundation of Rotary International (TRF) during the District 5150 Every Rotarian Every Year campaign. Whether or not you win, you’re donating to a great cause! The Rotary Foundation, the charitable arm of Rotary International, supports humanitarian projects to promote peace, fight disease, provide clean water and sanitation, save mothers and children, support basic education, and grow local economies across the globe. 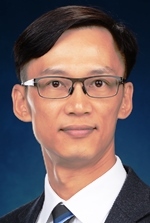 Our Club has been blessed to have Eugene (Gene) Lee (Consulting-Technical Management, Retired) as a member for the past 42 years. He loved life and loved being a Rotarian. 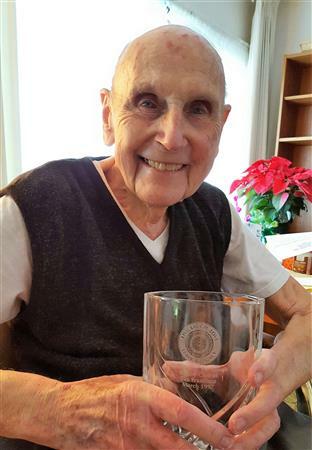 When he was no longer able to attend Rotary luncheons and events, members of our Club would visit him. During these visits, Gene would sometimes write a donation check or give bottles of wine to be used as a raffle or auction item. This way he was always part of us at our gatherings. Rotarians and guests enjoyed a private tour of highlights of the San Francisco Museum of Modern Art (SFMOMA) on Thursday, August 30. We learned the difference between modern and contemporary art, with a focus on the contemporary artwork in the museum. We welcomed visiting Rotarians and guests from around the world (China, Italy, Switzerland, and Germany) as well as the Bay Area, Nevada, and North Dakota. President Rhonda recapped several events from the previous week, including the very successful New Members Gathering on August 15 and the Rotaplast Bocce Ball Tournament on August 19. Around 150 Rotarians attended the tournament, which raised $4,000. In today’s luncheon, we welcomed visiting Rotarians from across the country and from India and Germany. Also in attendance were several staff members and clients from The Arc San Francisco as our featured guests, including new CEO Matthew Tarver-Wahlquist, COO Connie Tabas, CFO Marti Sullivan (Nonprofit Management; The Arc San Francisco), and guest speaker Kristen Pedersen, Chief of Employment and Education Services. On August 14, 2018, our Club inducted four new members. We welcomed the following guests: Brenda Kahler and Tom Bondi from the local accounting firm of Armanino; Larry Meek from the 49er Rotary Club of Nevada City, CA; Angelita Cabrera; Jean Rosenblum who was past president of her Colorado Rotary Club; Sarah Cummings from Robert Half; as well as Denise Evans and Lily Nhep from the local Capital One Café. President Rhonda told us that today's program would focus on the impact our work with the Homeless Prenatal Project has on its clients. On Saturday, August 11, Phyllis Nusz, Frank Yoke, and I joined about 50 other Rotarians at a District 5150 Learning and Development Opportunity about The Rotary Foundation of Rotary International (TRF). The presentation focused on the wonderful work our foundation does around the world, including tools to educate and inspire us all. About 25 members, prospective members, and Club Leaders packed the office of Lynn Luckow for the Quarterly meet-and-greet on August 15, 2018. There was an abundance of food and drink, and most important, goodwill and camaraderie to start the evening. The five Redding Rotary Clubs have joined together to promote the Shasta Regional Community Foundation’s (SRCF) Community Disaster Relief Fund. 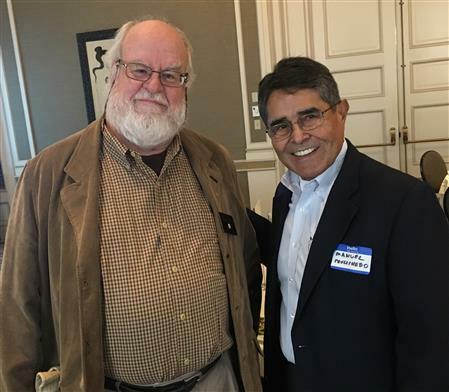 Rotary District 5160 has a long partnership with SRCF and is confident in its ability to steward donations and assist with Carr Fire recovery over the long term. Please consider a donation today. Donations should be marked #NorCalRotary and can be made by credit card online at http://www.shastarcf.org/funds/cdrf. Checks may also be sent directly to the SRCF at 1335 Arboretum Drive, Redding, CA 96003 or call 530-244-1219. 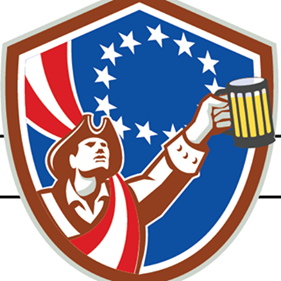 On August 2, 2018, members and their family along with prospective members gathered at the Patriot House gastropub for happy hour. A great time was had by all sharing pitchers of beer and tasty appetizers. Many thanks to Stacey Poole and Dan Joraanstad for putting together this social. We've made it easier to access the Club Directory and to update your profile information on our Club website. Click on the Club Business entry in the main menu, and then on Club Directory or Edit My Profile. If you're not already logged in, the system will prompt you to enter your username and password before taking you to your selection. If you haven't checked it recently, this is a great time to take a look at your Club member profile to make sure it's accurate and complete, and that your photo is up to date. 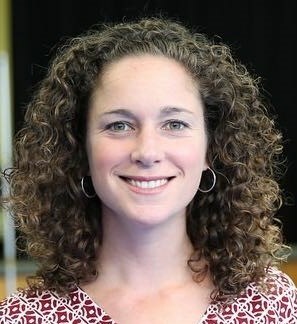 Dr. Carla Walter joined the Rotary Club of San Francisco in January 2017 and immediately got involved, ”because that’s how you get to know people.” She really enjoys the social events and has helped with scholarship evaluations for RYLA, as well as raising money for the Club. 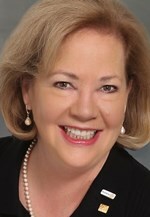 She’s just started a two-year term on the board of the Rotary Club of San Francisco as Vice President for Development. Happy New Year and Happy 110th Anniversary Year!! It is an honor to serve as your president for the 2018-2019 Rotary year. Your welcoming enthusiasm, from last week's energetic meeting to the many emails and texts you have sent my way, is a sign of the great team we are! I am thankful. 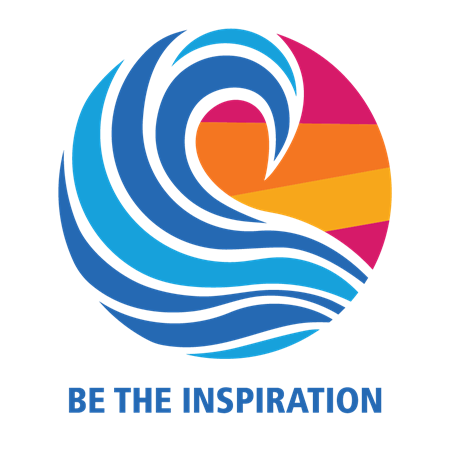 The Rotary International theme for 2018-2019 is Be The Inspiration. I relayed in our first meeting and wish to reiterate that our Club's plan to inspire boils down to several components. One is our formal plan on paper evidenced by our goals and our common desire to see our Club and surrounding communities thrive. 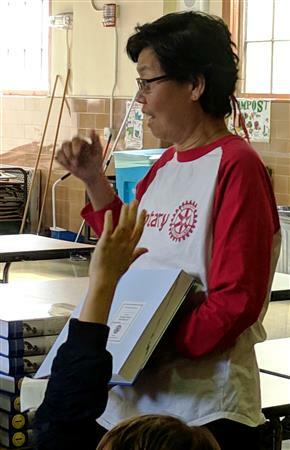 District Governor Jayne Hulbert, a member of the Rotary Club of Marin Evening, will talk about how this year's Rotary international theme, Be the Inspiration, impacts our District and our Club. DG Jayne's presentation is sure to be informative, inspiring, and fun. About 50 club members and guests attended today's lively luncheon meeting. We were joined by visiting Rotarians from several Clubs across California, and by an unusually large number of guests. 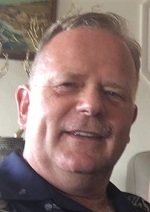 After the basic preliminaries, President Rhonda announced that a get-well card was circulating so that everyone could offer personal wishes to Immediate Past President John Mathers (Management Consulting; eVo Associates), who is having knee replacement surgery today. Frank Yoke and Tim Hornbecker are tied for first so far, with John Hoch second, but if Tyler Sterk, our guest and potential new Rotary member actually joins the Club, he could take over the lead in no time. Our tourney with trophies is open to all Rotarians in the Bay Area. All level of golfers invited. Special rules this year include no more than double par. So for a par 3 hole and you’re stuck in the bunker, you can’t get more than a 6! That speeds up the round and adds to the fun! We’re looking for more golfers to join us for 9 holes and libations every 2nd and 4th Thursday of the month through September 13! Fun fellowship! 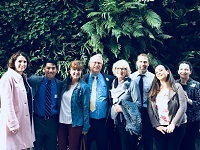 Several members of the Rotary Club of San Francisco joined scores of other volunteers at the Bayview Opera House to help Project Homeless Connect provide needed services to the homeless. About 70 people attended President Rhonda's inaugural meeting today. 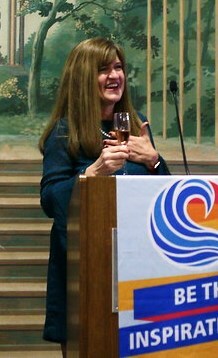 After preliminaries that included a champagne toast to the 110th anniversary of the Rotary Club of San Francisco (thank you to the Sir Francis Drake for the bubbly! 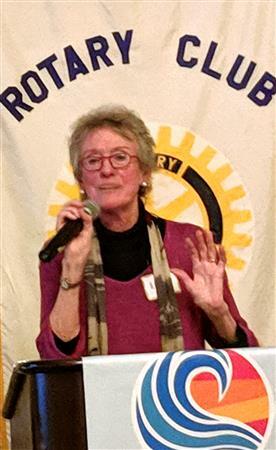 ), President Rhonda gave an inspiring talk about her vision for the Rotary year ahead. A group of roughly 20 members of the Rotary Club of San Francisco attended the Rotary International Convention in Toronto, Ontario from June 23-27, 2018. The Convention allowed 24,000 Rotarians worldwide to come together in celebration of the past year’s successes and to look forward to the next year’s theme, Be the Inspiration. The Rotary Club of San Francisco, the second oldest Rotary Club in the world, was founded on November 12, 1908. Theodore Roosevelt was President, Ford Motor Company was manufacturing the Model T, and San Francisco was in the final stages of recovery from the Great Earthquake and Fire of 1906. 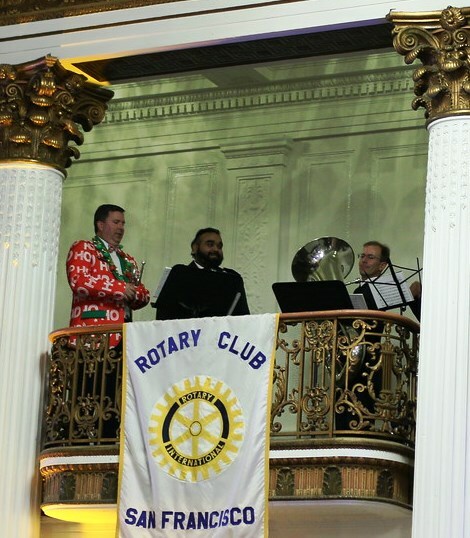 Since then, our Club has played a key role in the growth of San Francisco into a major city, and expansion of Rotary to 1.2 million members in more than 35,000 Clubs throughout the world. We are celebrating the 110th anniversary of our founding at our Holiday Luncheon and Annual Meeting on December 18, and with "time capsule" moments at our luncheon meetings throughout the 2018-2019 Rotary year.